Having been freed from the shackles of the Lord of Terror, I bring you: Slaanesh Daemon Prince! I've started working on this guy before D3 hit and finished him off in the last 2 evenings. It was a bit of a challenge for me, because I've never worked with these wanky colors before. 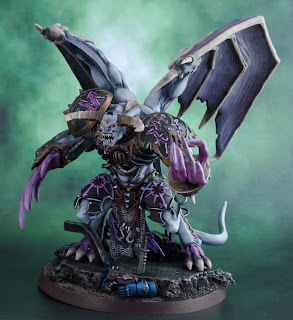 It's all been nurgle and khorne till now. 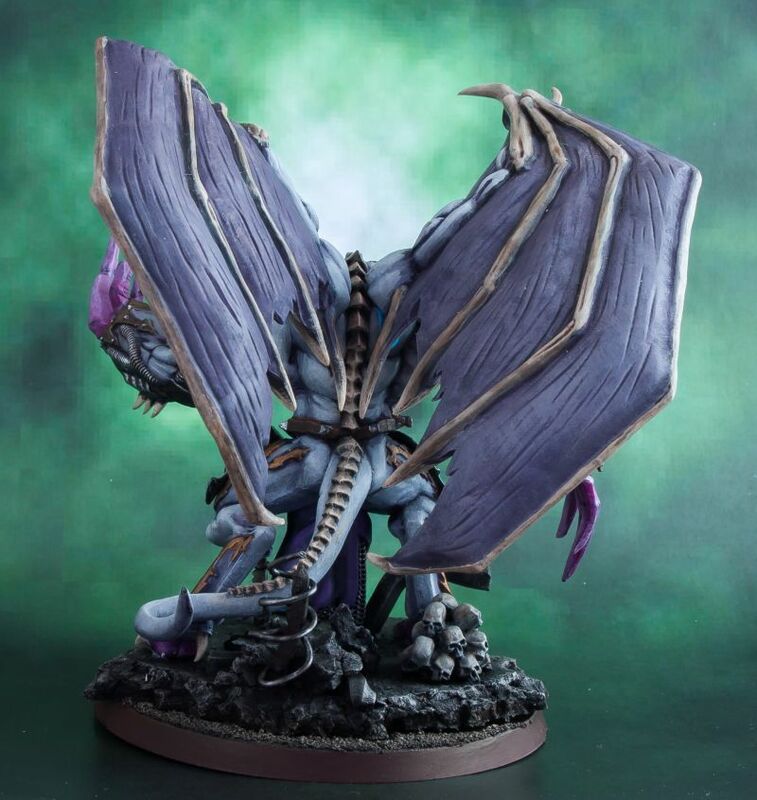 The only reason, apart from the model being awesome, that I undertook this slaaneshy project was that I wanted a wysiwyg model and well, I do use the allmighty lash of submission in my army so there! I won't go much into the wip description apart from some basics: some airbrush work was done to put the basic layers in place and from then on it's been much blending/layering and fine detail work. 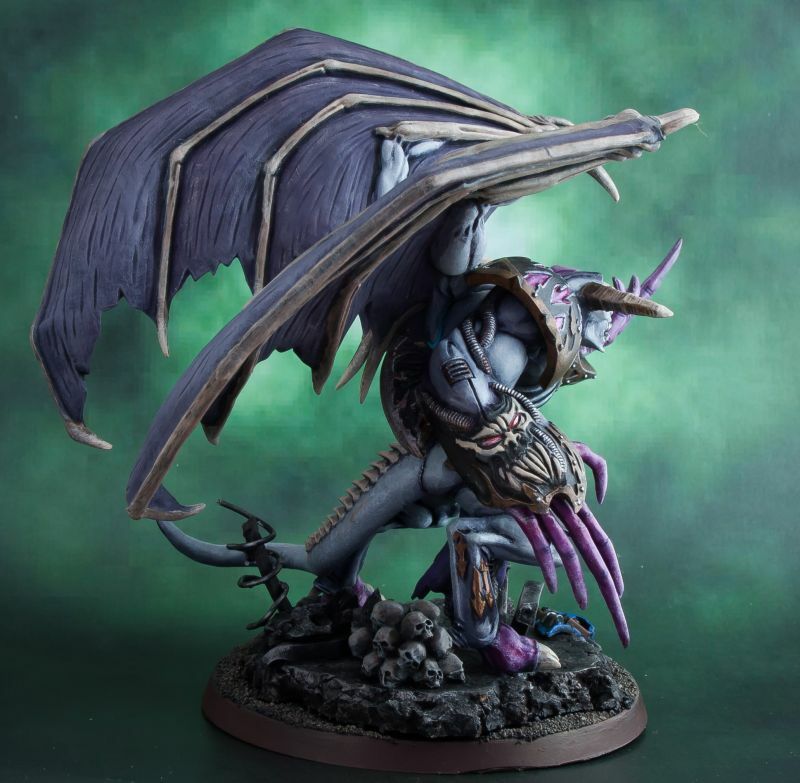 Funky colors involved in the project were: warlock purple, genestealer purple and leviathan purple wash. All the rest are standrard. Oh and in case you were wondering, the skulls on the base come from the "pack of skulls" pack from GW. Sweet stuff if you ask me. Still got plenty left. Very nice! I really like the pink and blue tones you've got! Alas, do I spot a mold line on his left gauntlet? yea, you are right :( but I decided to keep it cause it was in a hard to reach place and quite uneven so I thought that heavy filing would destroy the outline. 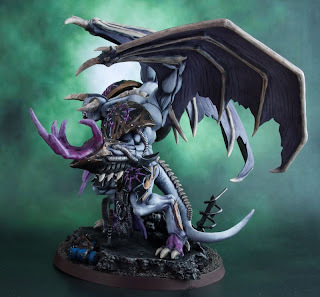 In all honesty I like this painting better than the 360 model on GW website. Very nice. What colors did you use for the skin and the flesh of the wings? 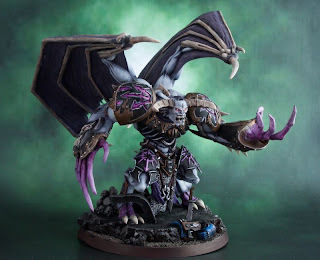 I love the effect and I have some models I think it would be perfect for. Oh man, that was so long ago I don't even remember exactly which mix went into what. As I've said in the article, those slaaneshy colors were warlock purple, genestealer purple and leviathan purple wash. Copyright 2012 Rot Forge. Simple theme. Powered by Blogger.